Call 1 (800) 348-3077 for Special Offers! 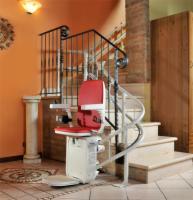 Stair Lifts For Your Home! 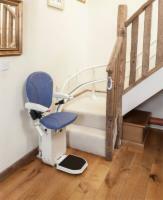 A stair lift can relieve the concern of safety for your loved ones when you can't always be by their side. It also provides piece of mind that a member of your family can safely walk down the stairs. 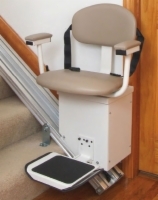 Our stair lifts by AmeriGlide, Pinnacle, and Acorn will make it easier for the person you are caring for, safer for years to come. 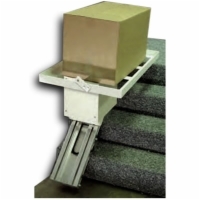 All of our stair lifts come with obstruction sensors, so the lift can detect something in its path and automatically stops so you can remove it. They also include seat belts. When you compare the cost of adding a room to the first floor, moving to an assisted living center, or purchasing a one-story home, a lift for stairs is by far the most economical choice. 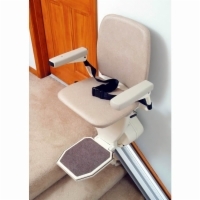 AmeriGlide, Pinnacle, and Acorn have been manufacturing stair lifts for years and Electric Wheelchairs 101 provides you with the lowest possible price on all of these great name brands. 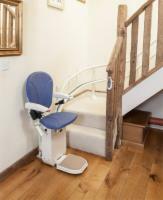 Our stair lifts are extremely reliable and we offer the best prices anywhere. 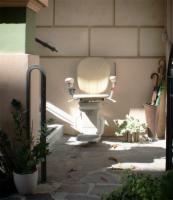 One of our best deals comes from purchasing a used Acorn Stair Lift. Our goal is to provide you with a high quality product that works safely and smoothly, every time. Call us and put our experience to work for you. We'll be happy to provide valuable information you can use to make the right selection. 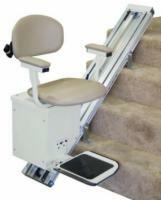 We also carry stair lift batteries for used stair lifts. 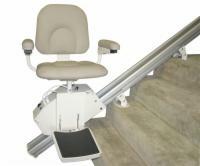 * 5/10 Year warranty applies to New AmeriGlide Rubex, Rave, Vesta and Platinum stair lifts.